The Gewurztraminer grape was always important in the village of Turckheim. Its position at the opening of the large Munster valley guarantees a warm and dry climate, especially during the ripening season, factors which are important for this grape that needs warmth and light to ripen properly. 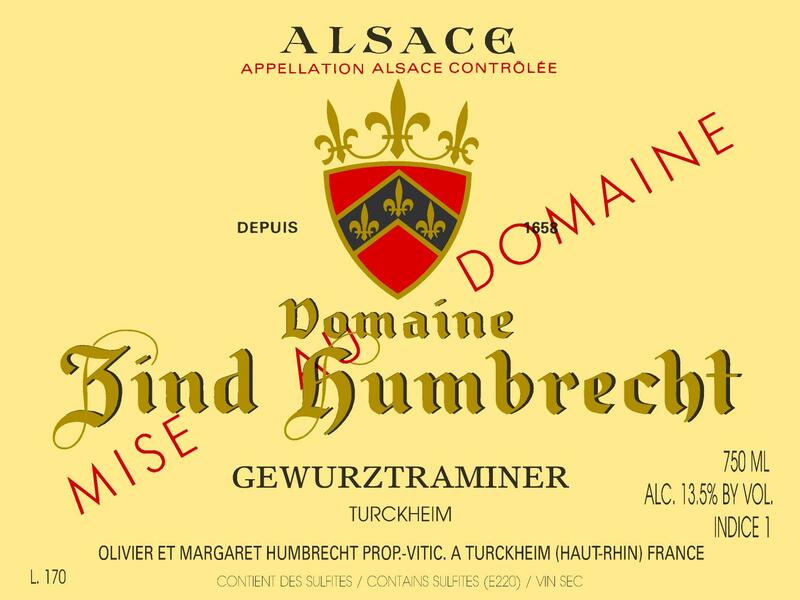 It is true that the greatest vineyards for Gewurztraminer are mostly located on richer marl/limestone soils, but the gravelly soils of Turckheim show generosity and pleasure in the wines. Ripeness is never an issue, but finding the right balance is the difficult part. In 2016, the grapes stayed healthy, and like most recent vintages, we harvested this vineyard before the grapes developed too much alcoholic power, allowing the wine to finish dry. 9/2017: bright pale yellow colour. The nose is so easy to recognize and already very open. Of course, all the floral elements are present, so typical from this vineyard, but there is also a nice presence of more complex spicy and peppery aromatics. The palate shows an unexpected structure. Enhanced by its dry palate, the wine isn’t showing a soft/sweet mouthfeel, on the opposite, tannins, ripe acidity and a strong mineral presence allow for a complex and tight palate. Luckily, 2016 shows lower alcohol levels, so it is also a wine that is elegant and not overpowering. Hard to believe, but this Gewurztraminer is a very food friendly wine as well!